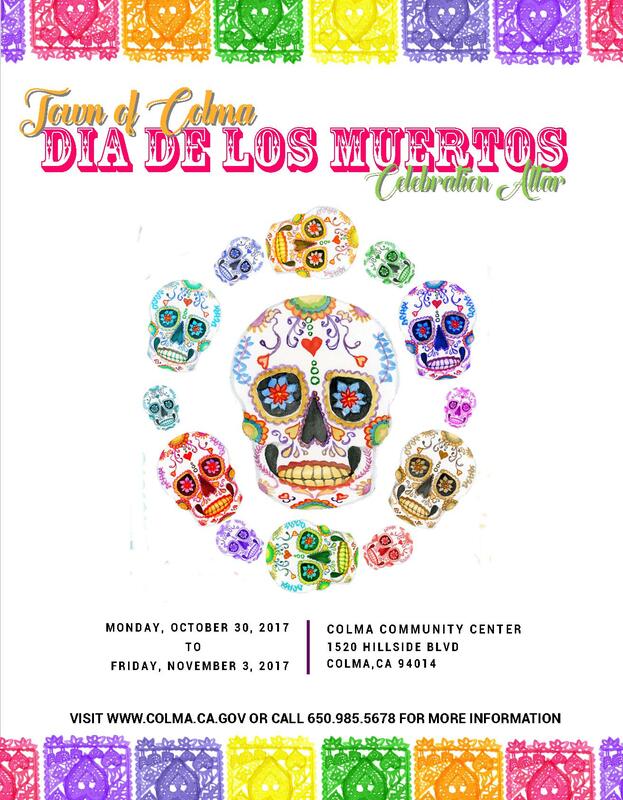 In celebration of Día de los Muertos (Day of the Dead), The Colma Community Center will display a public altar in its Lobby area. Everyone is welcome to bring photos to place on the altar (no originals or valuables, please.) The altar will be displayed October 30 to November 3, 2017.